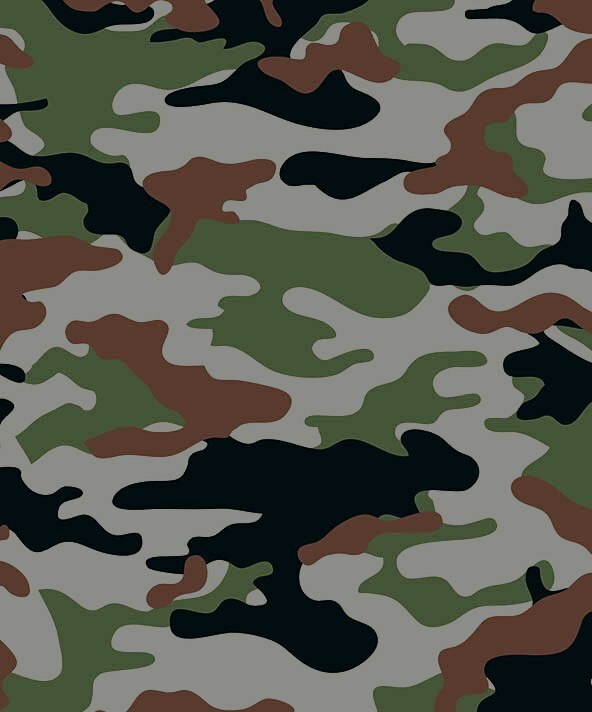 A WEBSITE ON COMMANDO TRAINING! This is the UCCA org website. 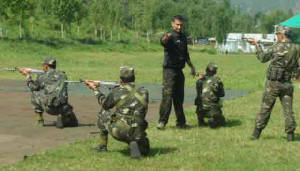 UCCA org aims at helping training Indian forces without personal gains. We specialize in. "The Chief of Army Staff Gen Padmanabhan has appreciated your efforts to modernize Close Quarter Battle & your Research work has been appreciated & circulated to various organizations for their reference"
IN THE FIELD OF CQB, UCCA IS UNPARALLELED WITH PATRIOTISM AS THE ONLY MOTIVATION! "The lowly people desire money, the middle level yearn for money & fame both. 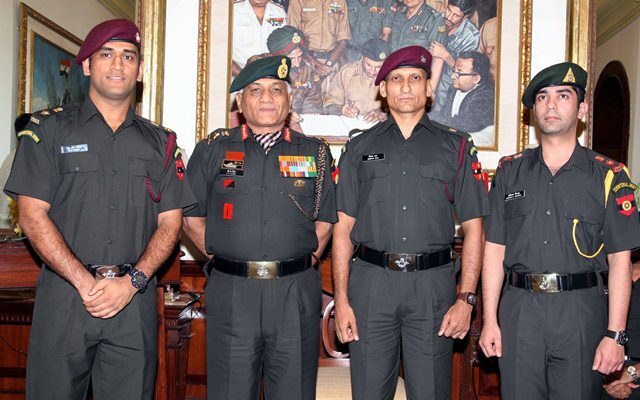 But the high class people seek only the Honor"
Under Official Invitation from Indian Force HQ's. 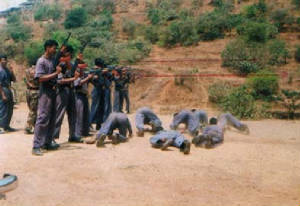 ACCS was the end product, Indias own indigenous state of art CQB training method. One Enemy. One Chance. One Strike. One Kill! The Goals of UCCA org is to research, modernize and help train Indian forces in modern needs of Close quarter warfare and Commando operations as outsourced specialists when summoned. CQB or Close Quarter Battle refers to proximity warfare from 30m extendable to 100m with lethal force (firearms) which is erroneously mistaken for martial arts. The UCCA is made of Ex service Officers from Indian forces, War veterans, Offspring of Freedom fighters and Multi speciality Instructors who come together without gains for common goal of doing service to Indian govt to help modernize Anti Terror, CQB and Commando Training. The UCCA is a unique NGO- we accept no donations, sponsorship or grants. We do not accept or give monetary compensation, but use our meagre earnings to do work of great magnitude for the camouflaged warriors of our forces, who give their today to enable a better tomorrow for our soil & society. The UCCA is headed by director Hon. 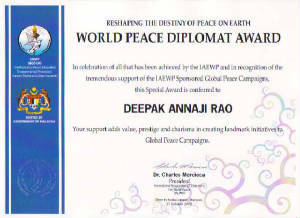 Major Deepak Rao, a Para battalion officer who has received Presidential honour-ta commission for outstanding service in Anti Terror training. The UCCA is world renowned authority on CQB. India is the only country in the world where forces have modernized outdated world war II CQB methods and replaced it with indigenous ones. 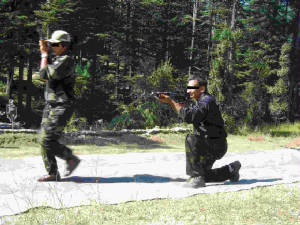 We have helped train Indian forces in modern CQB methods. CQB Black Belt Endorsement: UCCA conducts modern CQB courses for Indian special op forces, Quick response teams and awards successful participant officers and other ranks with coveted UCCA CQB Black belt certification. The UCCA Black belt bears no resemblance to Judo-Karate Black belt certification but is the highest endorsement of CQB expertise with its worldwide repute. More than 15 countries forces Instructors have been endorsed by UCCA on their request. 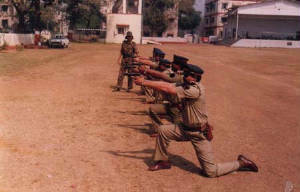 3500 CQB Black belts from Indian Forces: from 1994 onwards for almost 2 decades the UCCA / Raos have trained 15,000 soldiers and policemen in modern CQB modules. 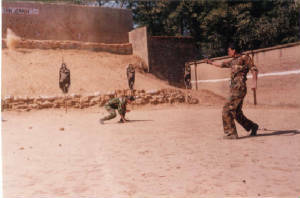 Almost every Indian special force was trained by UCCA. 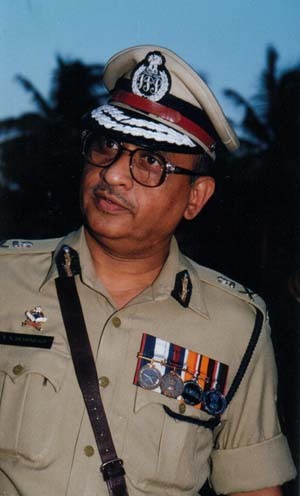 UCCA Directors, Rao’s trained Indian Army Para SF, Commando wing, Ghataks, Indian Navy Marine Commandos MARCOS, N S G Black Cats, Air Force GARUDS, Special fron -tier force Units, Paramilitary Commandos ITBP etc, Police QRTs from 16 States and many of clandestine covert Special units. The 3500 certified UCCA Black belts include Lt Generals, major gens, brigadiers, colonels, majors, captains, JCO’s and Other ranks from various forces. Patriotism by Selfless Service: UCCA believes that patriotism is action not just words. All the work of 18 years has been selfless without compensation. 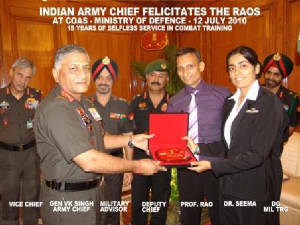 The UCCA Directors, Rao couple spent all their prime lives fulltime with Indian forces in pursuits of serving the soil without charging a single penny from Indian forces. 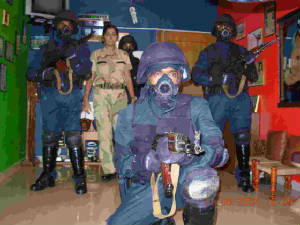 ACCS is the art of modern CQB, indigenously developed in India by UCCA & the UCCA directors, Raos. It is one of the top military CQB arts in the world, and also the latest. It was researched & developed by UCCA and taught exclusively to the Indian govt forces for use in Commando & CT operations. Despite many invitations from overseas forces, the Raos have stuck to their principle of only serving Indian forces. 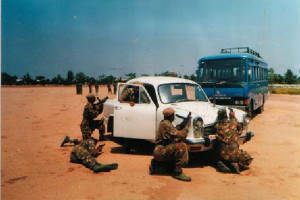 The ACCS was documented by the UCCA in their unique publication ‘Encyclopaedia of Close Combat Ops-ACCS system’ the world’s first encyclopaedia of CQB training. The Encyclopaedia has found unique place in FBI Library (welcomed by Director Robert Mueller), INTERPOL Library (welcomed by Secy Gen Ronald Noble) and SWAT Police Libraries all over the world. 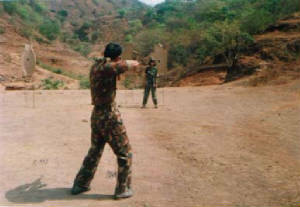 ACCS was used in training Indian forces in modernization of CQB. The Encyclopaedia was produced by the entire life’s earnings of the Raos & gifted free to Home Minister P. Chidam baram for circulation to Indian forces. There was no commercial release of Encyclopaedia to civil sector and all copies were exclusively for Indian forces. Invention of Rao system Reflex fire technique. The Rao system of Reflex fire outlined that the WW-II snap shooting method was too slow in responding to immediate engagement need of Close quarter battle. They developed a new method where reaction time could be shortened to give a quicker response of reflex fire. 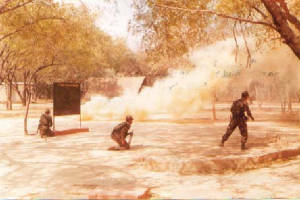 This method was found useful by Indian forces to help modernization of close quarter battle. This method has been incorporated through the width and span of various forces. UCCA & Raos hold patent pending rights for this invention. We changed the way our forces shoot. With Rao system of reflex fire, we did away with outdated british WW-II shooting methodology. We helped Indian Army in modernization of CQB courses for significant Army Commands under directive of Army Commanders Lt Gen Deepak Kapoor & Lt Gen VK Singh, who later became Army Chiefs. UCCA experts produced IED Bomb recognition charts & gifted it free to Mumbai & Maharashtra police. 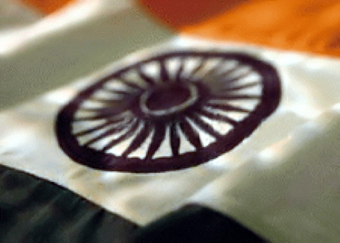 India is the first country in the world to drop world war II techniques. Our country! Only here you find patriots who keep their personal life aside and devote their life to serving the men in the arena, our soldiers! Unbelievable? Almost all Indians have positive sentiments for UCCA work. However, Some may engage in disbelief at our achievements. 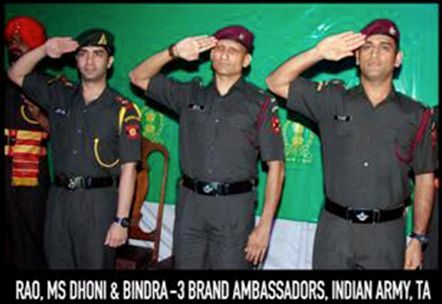 Answer: We are ex Services officers & forces Instructors with required expertise as evaluated by Indian Force HQs! Qt from Foreigners: “UCCA makes bogus claim of modernizing the great WW II methods?” Answer: We have modernized CQB. Please check original scanned documents from Army Chiefs, DGs, Army Commanders, Generals & CO’s of various Special forces on this website! So foreigners have to understand that Indians are more than capable of modernizing western inventions. Answer: Some small units / battalions / Regimental schools often engage local martial artists for karate training of soldiers. Sometimes forces encourage demonstration or workshops on newer martial arts forms and styles. this is not the same as official engagement in CQB modernization / armed battle training from Force HQs from Service Chiefs or DGs. And none of it is without fee for fulltime service of 20 years! the Raos have given their entire lives dedicated to pursuits of serving the soil without charging a single penny from Indian forces. They trained 15,000 soldiers from almost every special force and other elite units for 18 years as selfless service to the men in uniform. 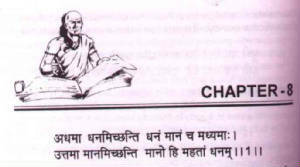 Maharshtra Govt CM citation, HM Citation, CM Sect citations. 500 Force Mementos & 1000 Letters of appreciation from Generals, DGs & Force Chiefs. 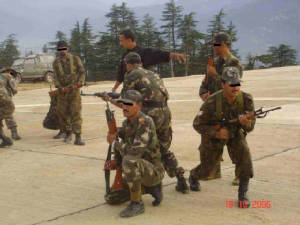 In 2006, The Delta force, Rashtriya Rifles & Dagger Divisions were trained. 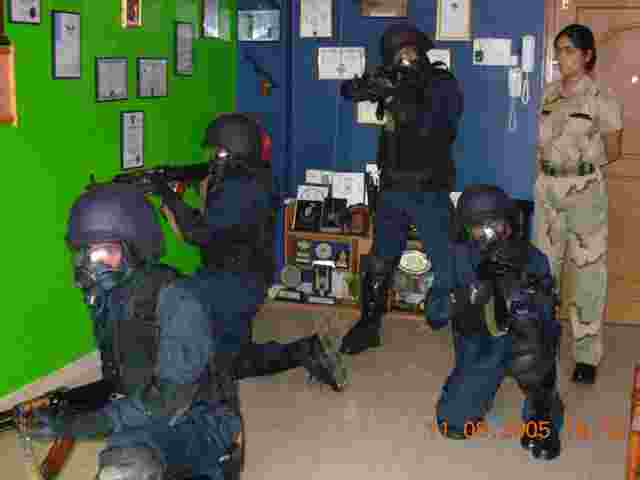 In 2006, the National Sec urity G u a r d HQ invited us for specialized trg. 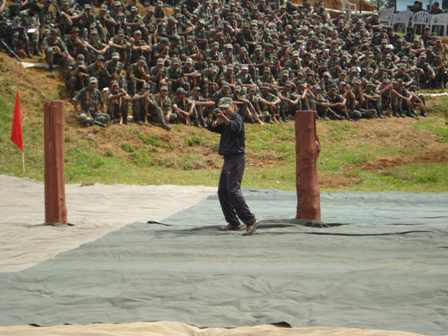 The Anti Terrorist Squad Mum bai Police invited us to train their Quick Reaction Teams. Indias National Security Forces for Counter Hijack & Hostage Rescue units . In 2009 The Home Minister of India, Shri Chidambaramji put on record their selfless service in innovative training for anti terror ops. 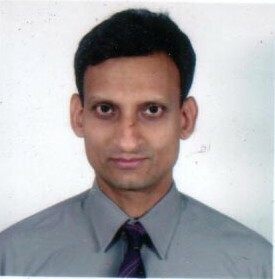 The Home Secretary of India GK Pillai approved of Raos as CQB QRT training resource for Indian Home Ministry. In 2011-12 The UCCA trained State police QRTS of many states all over the country. 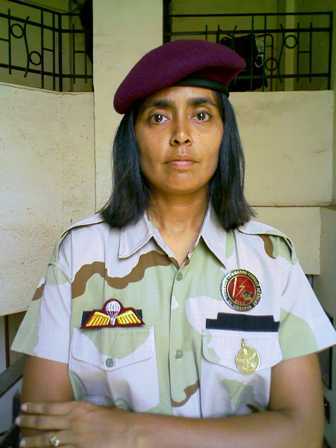 In 2012 the UCCA helped train Para SF in NC to make Reflex Shooting Instructors under Army Commands initiative. ACCS is a Tactical Close Combat system designed for use in commando close quarter battle situations and special operations, developed by ex forces Instructors & officers. Strategic War Doctrine Gen. Sun Tzu's "Art of War" It also derives inspiration from Bruce Lees Jeet Kune Do and applies it to CQB Tactics. For Close Quarter Operations, Special techniques must be developed to replace older World War II methods of long range battle. & Reality Simulation Battle Exercises. Close Quarter Fighting Weapons -The soldiers assault Rifle, Dagger & his seasoned Body. The Soldiers Goal - to Kill, else be Killed. 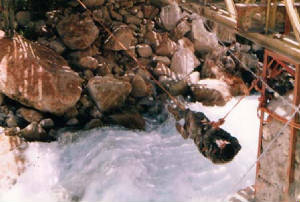 The commando needed to quicky or silently terminate his enemy, many a times in hostile terrain, like high altitude glacier, where air oxygen concentration is low, under water as in a diving operation, or in the dense shrubs of the jungle or scorching heat of the desert or times in a maze of concrete rooms as in Urban ops. ACCS IS A COMPLETE MILITARY COMBAT ART including all aspects of Close Quarter Combat. Hand to Hand combat, Hand to Weapon combat or Weapon to Weapon Combat and Small Team Tactics & coordination may be involved. He has to emerge alive, exterminating his enemy in an covert operation. The Combat is Team on Team and not just One on One. 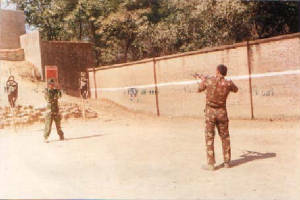 In Close Quarter Shooting, the Spec Op soldier has to learn CQB Shooting as a specialised subject. He has to learn to shoot without protracted aiming. He has to learn to develop Precision in quick shooting. He has to learn comfort at the receiving end of fire. He has to learn to return the enemy bullet with a reflex counter rather than scurrying for cover. He has to understand ricochets & minimize collteral damage. Small Team Tactics, as of protocols, movements, area of function and tactics are a vital need in Team on Team combat and depends heavily on tactics used by small teams to engage enemy in mortal combat. Multiple opponents may be involved and he may have to use everything and anything as a weapon for killing in addition to the lethal firepower of his assault rifle. "One Enemy. One Chance. One Strike. One Kill! The attacker quickly raises his arm & shoots at the defenders head. The defender evades by ducking below waist, by beating the speed of lift of attackers hand. The bullet must penetrate the head of the target for succesful exercise. from the Sr Officials of the Indian Armed forces & Police. In 2008, The Rao couple were felicitated by the WORLD PEACE DIPLOMAT AWARD at the World Peace Congress in Malaysia. What do u want from us? Civilians cannot be trained in CQB or Military subjects. 'ACCS' is a technical term to denote the close combat art founded by Major Rao. 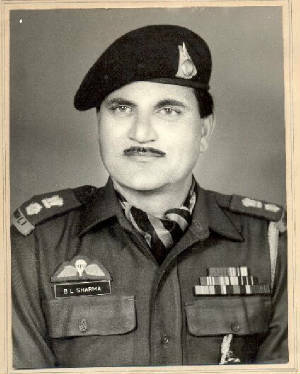 Major Rao has been described by the Indian ministry of defense as the pioneer and first Indian to specialise in Close Quarter battle training. He & the org UCCA has trained thousands of Indian forces under official invitation by the top brass in CQB and ACCS. However it may be noted that the 'ACCS' Or the ACCS Website has no direct connection to the Indian Forces or Police. 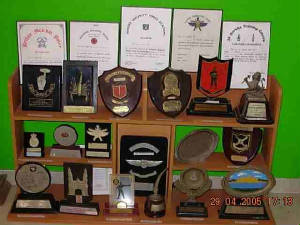 ACCS denotes UCCA Art of Close Combat offered only to Indian Forces. Please note that CQB or ACCS is not a Martial Art but a Military art. (The misinterpretation tends to occur as Unarmed Combat features in the Org name UCCA) We offer no placements for Karate blackbelts or civilian experts. Ex Forces PC Officers are welcome to join us for training the forces, without compensation, as is the UCCA ideology. No Civilian shall be taught the Close quarter military skills of ACCS. The information provided here is only to give an idea of functionality of the UCCA Arts. No Classified information is given here. DISCLAIMER: We caution the readers from attempting any technique outlined here, as it may rarely prove to be dangerouly fatal. Hence if you shall do, it will be at your own risk. We shall bear no responsibility for your actions. We are non commercial, non competitive & non traditional. We are totally committed to serving the Indian Forces. One Strike. One Kill !